WASHINGTON, D.C. — Marc Perrone, International President of the United Food and Commercial Workers International Union (UFCW), today released the following statement in response to the Supreme Court’s decision in Obergefell v. Hodges. “Today, marriage equality is finally the law of the land. 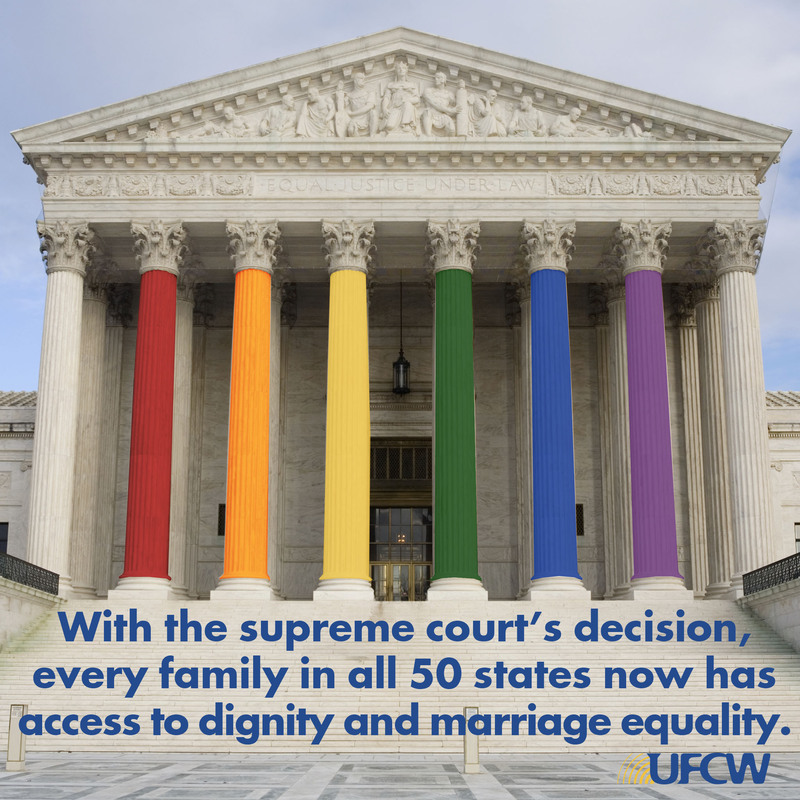 This decision secures equality and dignity for every family in all fifty states. Our UFCW family strongly supports full equality for Lesbian, Gay, Bisexual and Transgender (LGBT) people – not just the right of all people to marry the person they love, but also equal rights when it comes to employment and immigration policies. It is a historic victory that was simply unimaginable just two decades ago. While we are celebrating today, it’s worth remembering that there is still a lot of work to be done before LGBT people have full equality under the law. In a majority of states, there is nothing to prevent a worker from being discriminated against or fired simply because of who they love, or because of their gender identity or expression. And LGBT workers’ partners and families can be unfairly excluded from workplace policies and benefits like health coverage or family leave.